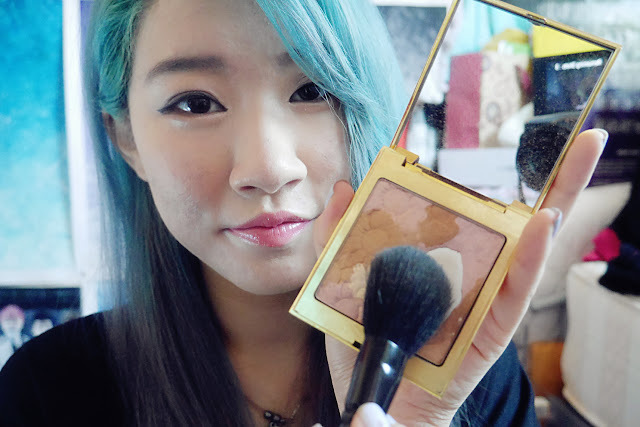 This has been my everyday bronzer for a while now; reviewing this before I use it all up! The packaging is absolutely splendour! 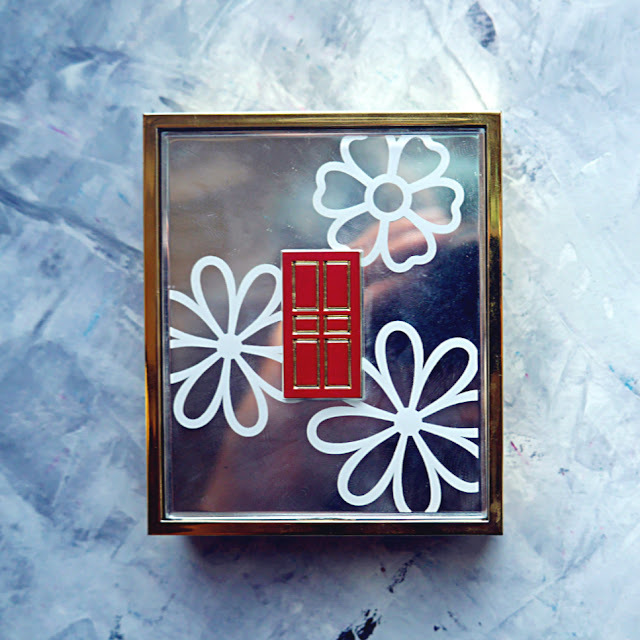 But wait until you see the actual bronzer inside. 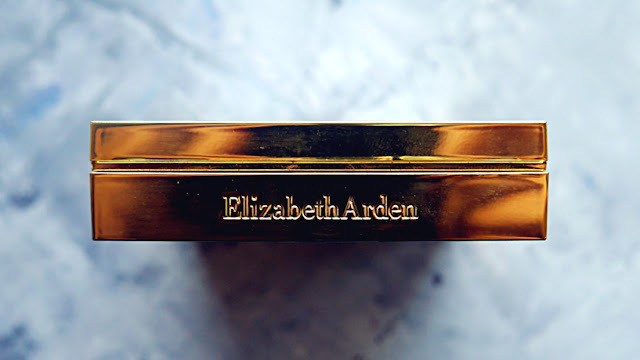 ^.< The bronzer comes in a sturdy gold packaging with a simple and pretty floral design that features the classic Elizabeth Arden red door logo. 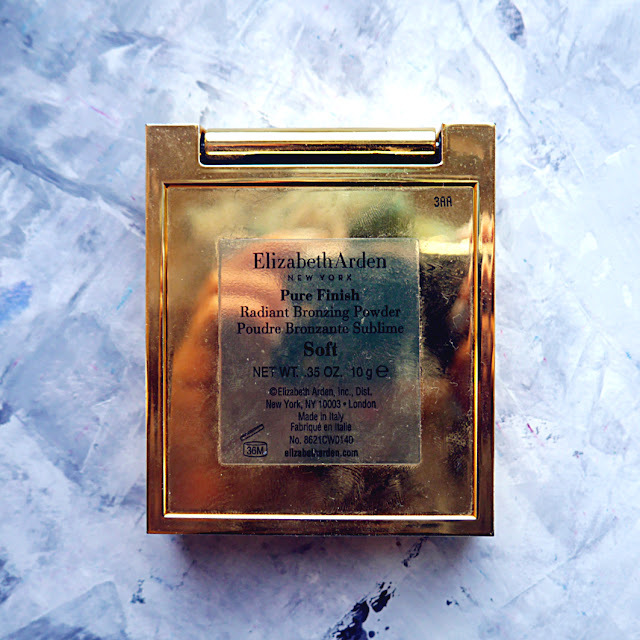 Elizabeth Arden sure knows how to spoil someone with their luxury packing. 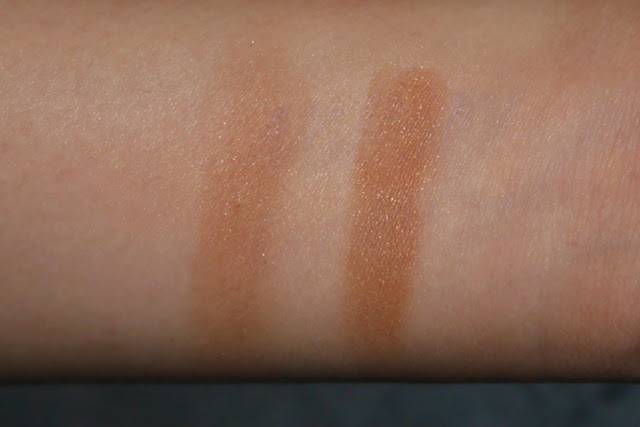 The Pure Finish Radiant Bronzing Powder comes in 2 shades - soft and warm. 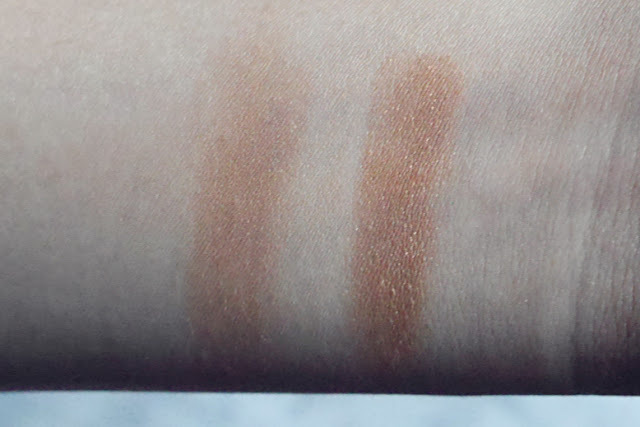 Soft is for light skin tones and warm is for medium. 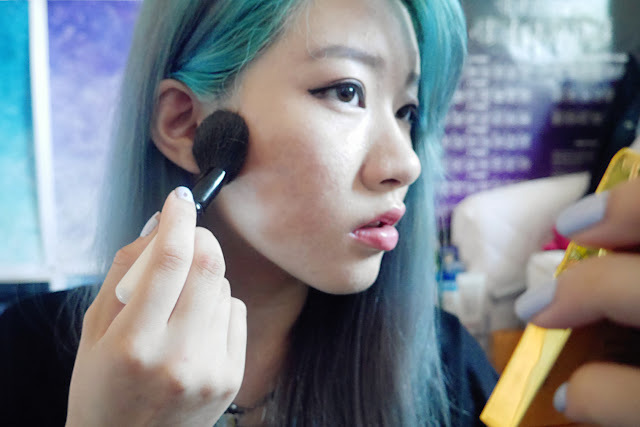 The pigment is build-able, if you want a deeper contour then simply apply more more. 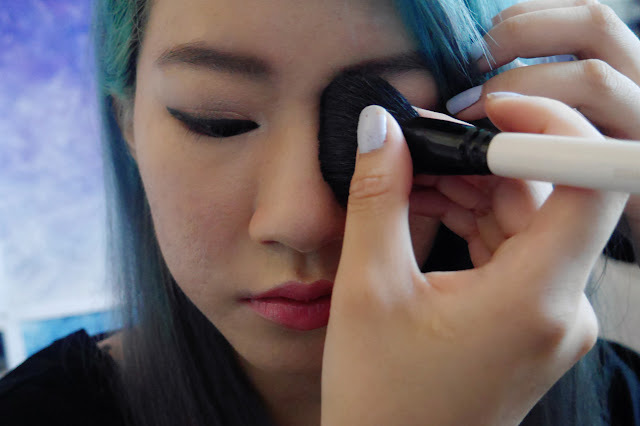 When I'm in a rush or too lazy to switch brushes I simply hold the bristles together so that I can apply it to my nose with more precision. 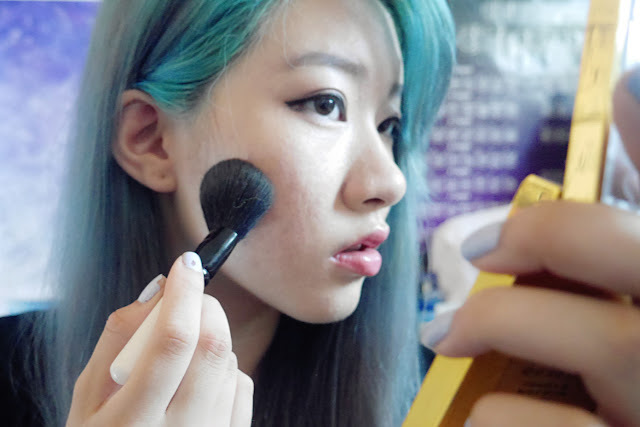 Finished result~ I love how it blends into my skin tone so naturally even though I built up the bronzer to make it more noticeable on camera. 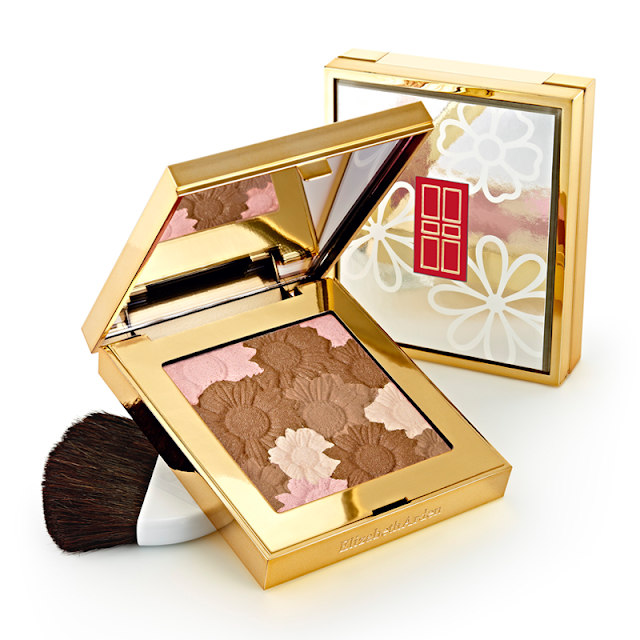 The gold shimmer isn't noticeable, instead it gives you a healthy radiant appearance. It lasts for a good few hours before it starts to fade. Generous amount of product that will last you for a while, gorgeous packaging and print. On the pricey side but still cheaper than Nars' Laguna, so why not? 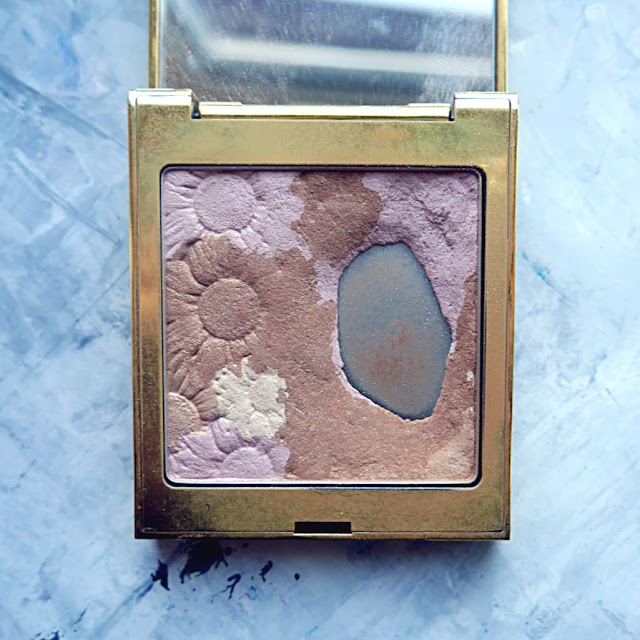 Liking this bronzer, such a lovely treat. I would recommend this for those that are looking for something natural with a healthy radiant glow. Really beautiful product.. :) the packaging looks really elegant.. It's so nice! 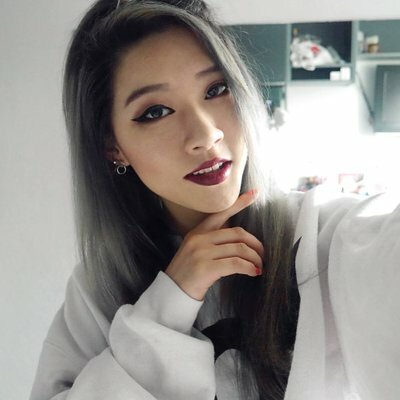 you're looking gorgeous!